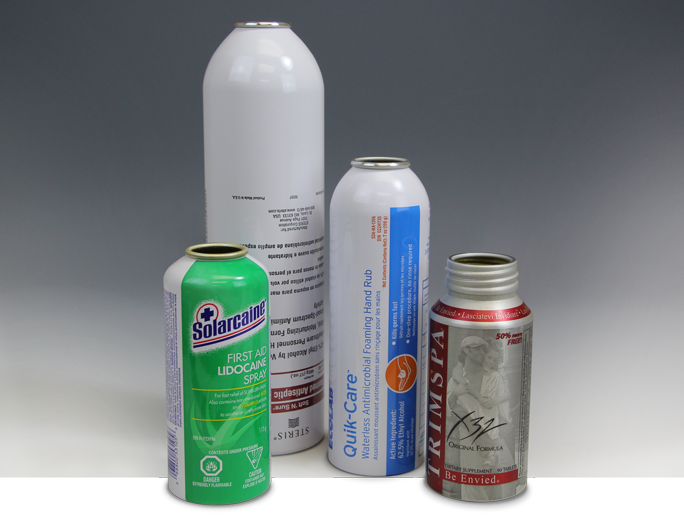 There are a number of specialty pharmaceutical applications and many product classes that have adopted CCL Container’s aerosol package forms and many new classes continue to be developed. This includes anesthetics, anti-bacterial sprays, antibiotic ointments, pulmonary sprays, wound care, nasal sprays and many others. For pharmaceutical applications that can benefit from aluminum packaging, CCL Container offers solutions that are FDA compliant, formulation compatible and environmentally responsible. Liners are compliant with 21 CFR 175.300, offering stability and FDA approval. CCL Container’s pharmaceutical aluminum packaging offers three classes of strength, making many propellant and formulary options possible. A wide range of volumetric choices exist that range from 2 ounces to more than 28 ounces. Contact us below to discover the highest quality yet cost-effective Al packaging product solution for your Pharma application.